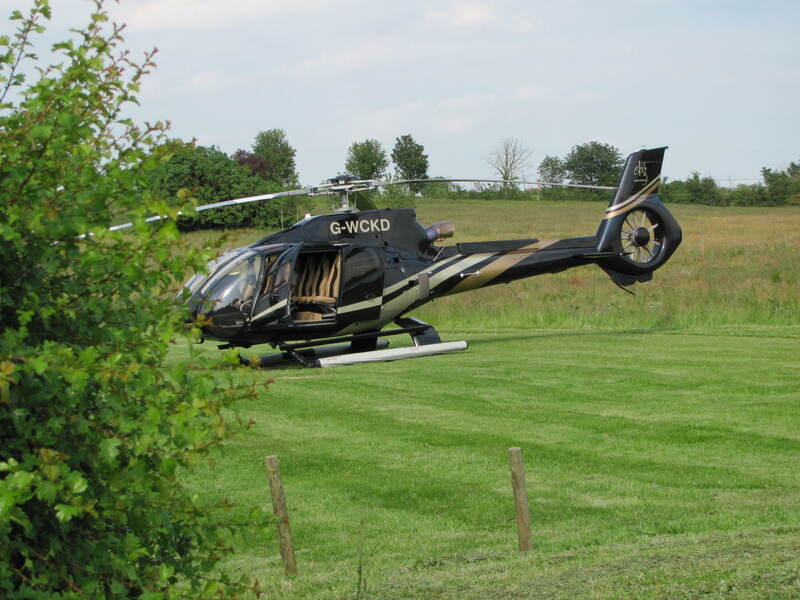 Although the celebrations of the big 60th birthday should have all been done and dusted by now, we’re taking a ‘Royal family-type’ approach to our birthdays this year and extending them for as long as possible. 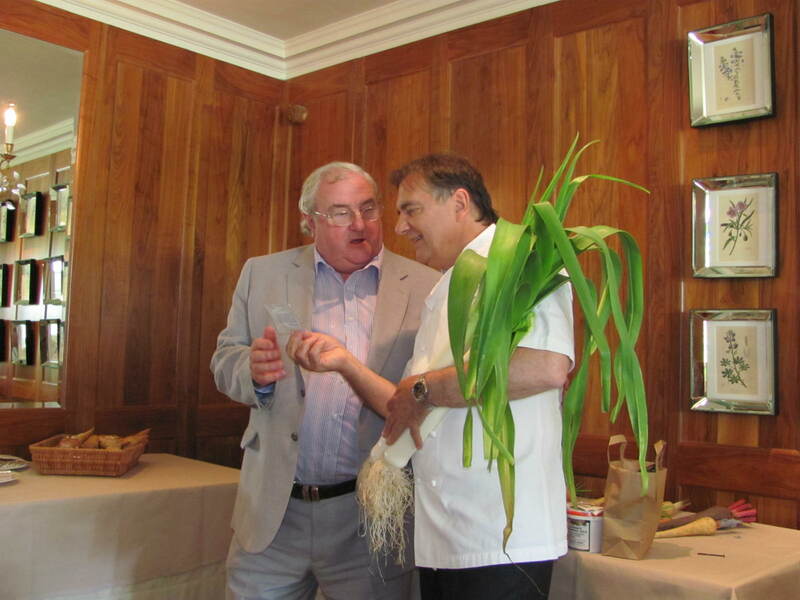 So, last week we spent the day with Medwyn Williams (10 times gold medal winner at Chelsea) at Le Manoir aux Quat’ Saison (home of zee leetle Frenchman, Raymond Blanc). Thankfully, the rain held off and that big orange thing in the sky actually made an appearance. The day started with a talk by Medwyn on how he started out growing show-quality vegetables before going on to win 10 (or was it finally 11?) gold medals at Chelsea. It was a fascinating story and amazing to see the number of wheelie bins that are used to grow those famous long carrots in. 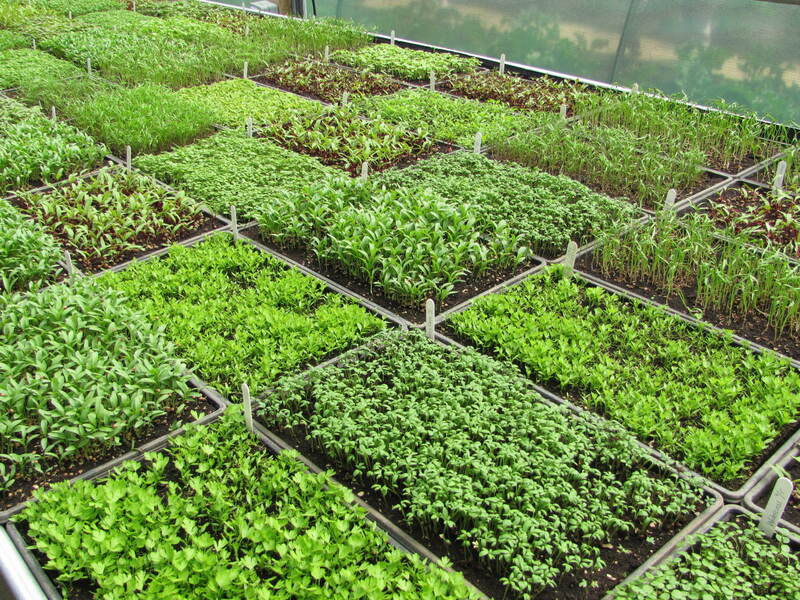 The amount of time and dedication that goes into growing show-quality veg is incredible. I’m not sure it’s for us – we’ll stick with exhibiting a few dodgy carrots at the local village show! 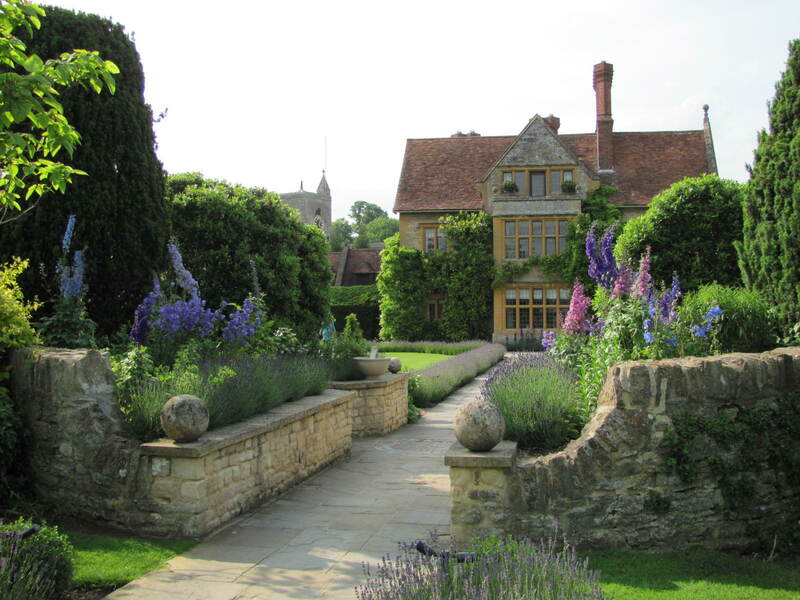 We were then given a guided tour of the gardens at Le Manoir. 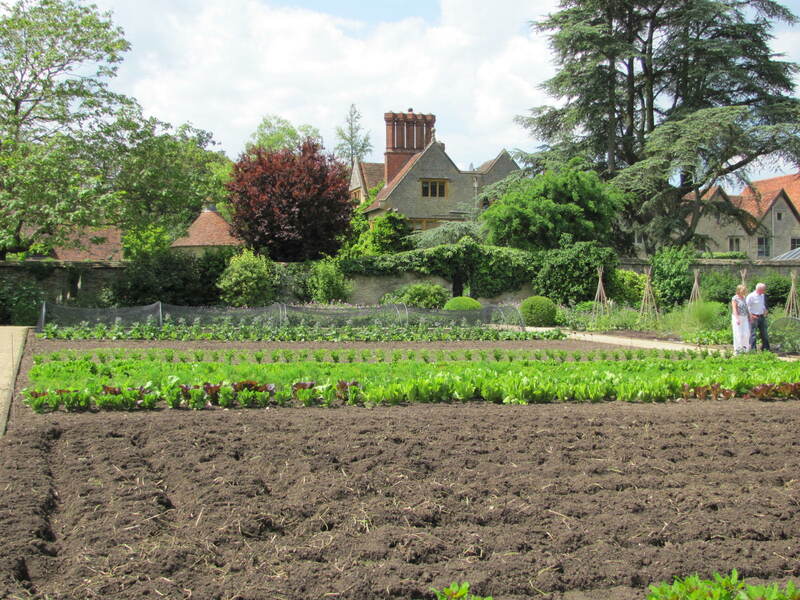 The 1.5 acre vegetable garden is completely organic and supplies between 15-20% of the total fruit and vegetables used within the hotel. We were glad to see that their radish were struggling too! 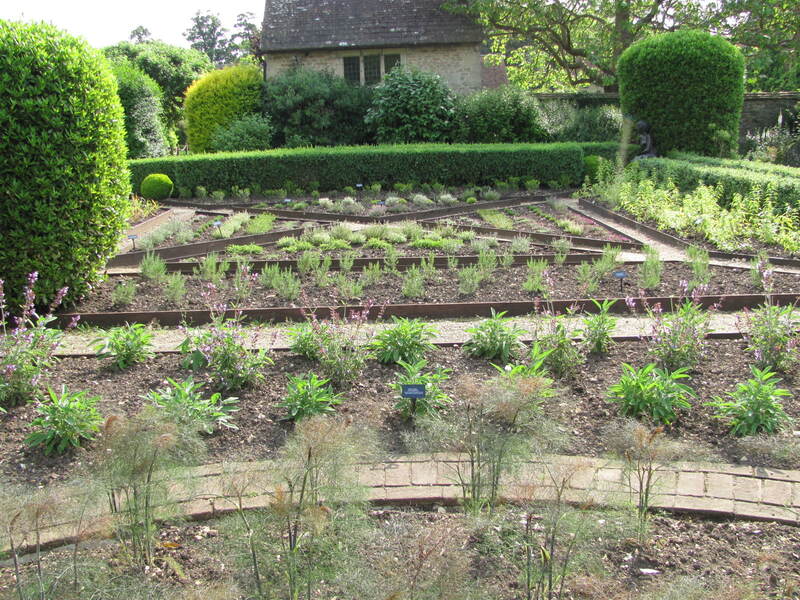 There is a lovely Elizabethan knot-style herb garden where herbs for tea infusions are grown. 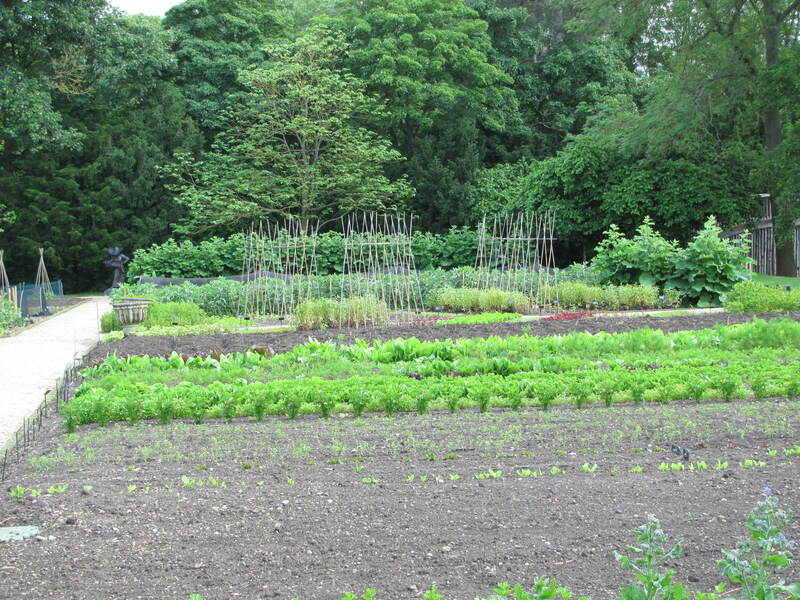 The garden also houses a series of polytunnels, one of which is used to grow micro leaves. 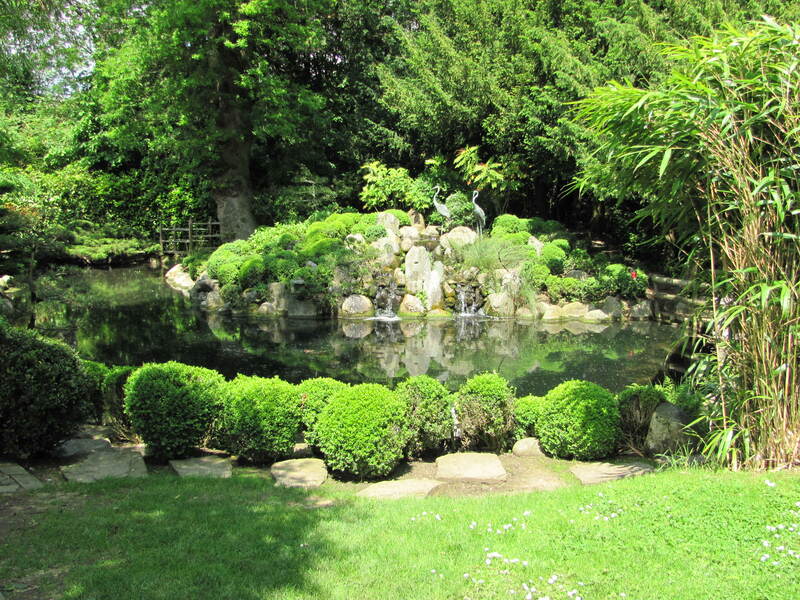 The whole garden is a lovely tranquil space in which to wander; the ponds and Japanese garden all add to the effect. 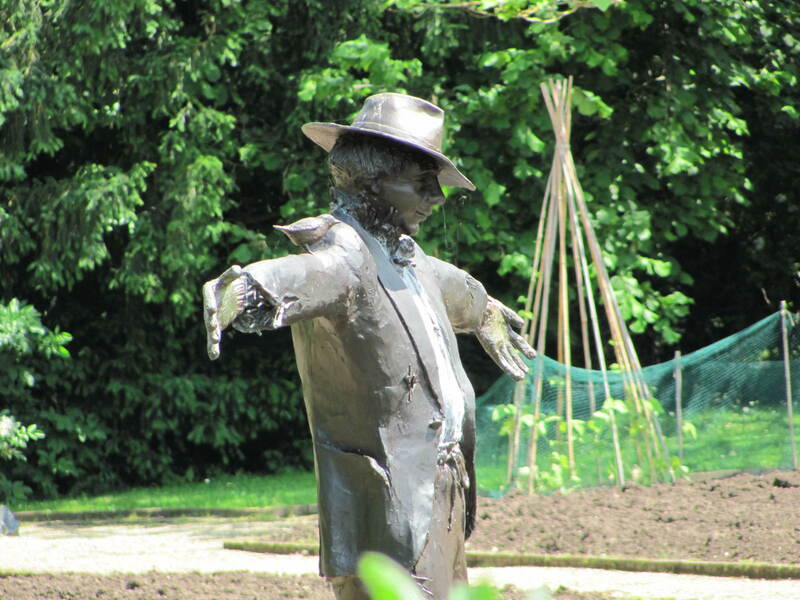 As you wander around you notice a number of bronze sculptures – even the scarecrow – which add to the architecture of the garden design. The face of the scarecrow is modelled on Raymond himself. After a champagne reception on the terrace and a ‘very tasty thank you very much, can I have another?’ canape, we went in for lunch. Just as we are positioning napkins on laps, who should walk in but zee leetle Frenchman himself – what a bonus to the day! After giving a thoroughly entertaining few stories of his experiences of growing vegetables, he left us to enjoy our lunch. And what a lunch it was – the Horseradish Sorbet was to die for. In fact, it was all to die for. …oh, we’ll just take this then! Thankfully, it’s my birthday at the end of this week so another excuse for a celebration – this time it’s Monet’s garden. Let’s hope ‘le soleil’ makes another appearance. 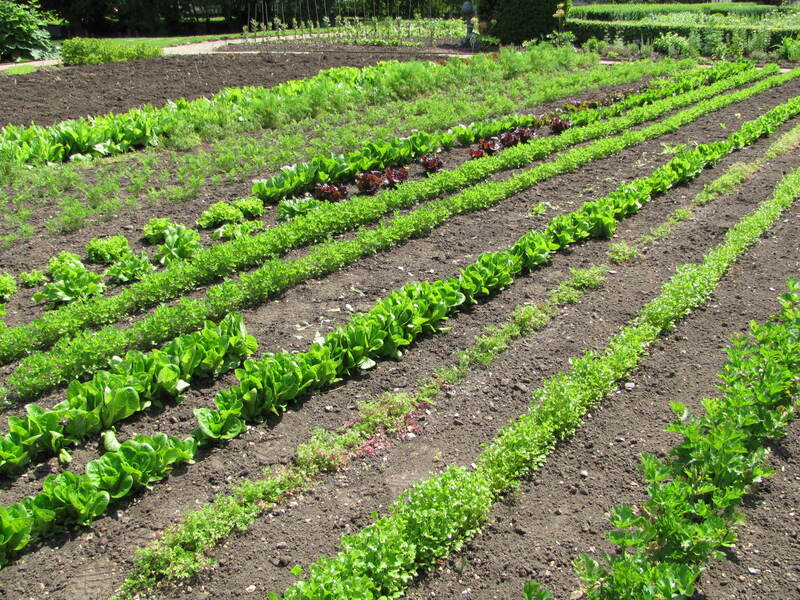 All those gardens and they only supply 20% of what they need – my goodness – that’s a helluva lot of veg.